ERGASTIRI PSALTIKIS® will perform a concert in Byzantine Music at the Sacred Cathedral of Holy Annunciation, the Metropolis Cathedral of the Church of Athens on February 27, 2019, at 07:00 pm. These protopsaltes, who have honored ERGASTIRI PSALTIKIS® before with their participation as soloists in our concerts, will be present at the concert. 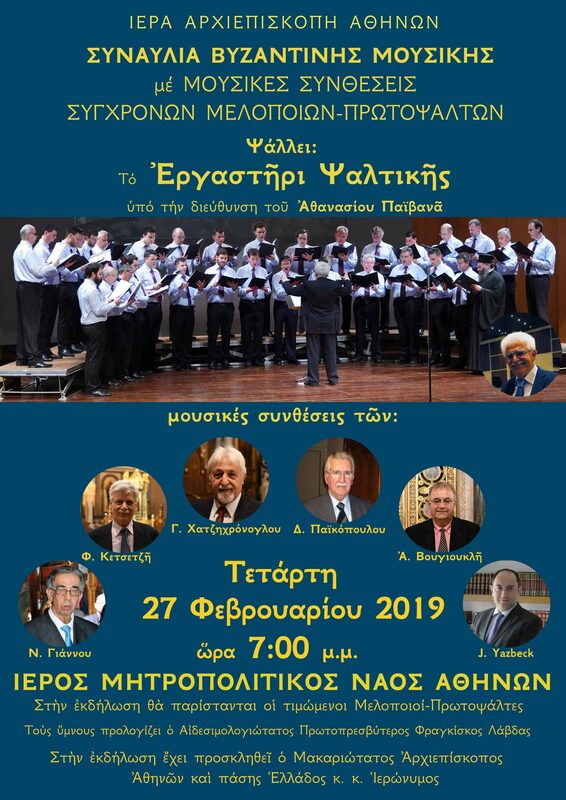 Wishing to honor them and their contribution, ERGASTIRI PSALTIKIS® will interpret their musical compositions, which have left a mark on the ages-old Art of Psalmody.